Marion's Main Street is lined with historic buildings, churches and the courthouse. 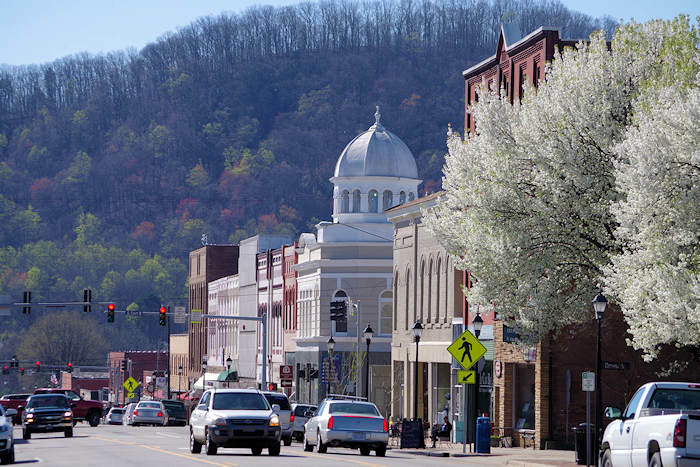 This small town sits at the foot of the Blue Ridge Mountains near popular attractions like Mt. Mitchell (30 miles) and Linville Falls (25 miles). Downtown Marion has really blossomed during the last couple of years. 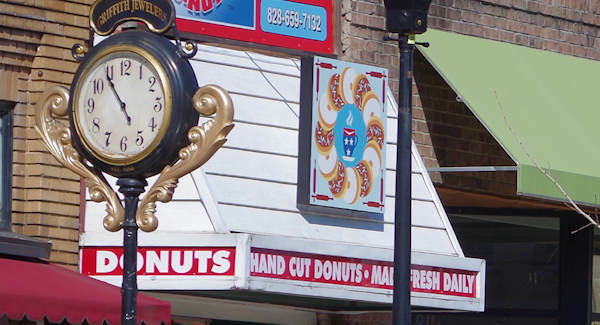 Longtime favorites are the McDowell Arts Council Gallery & Theatre (50 South Main Street) and next door Mr. Bob's Donuts (60 South Main). Try local craft beers at the Refinery 13 Taproom brewery (13 N. Main). Burrito Brothers is next door at 9 N. Main. New additions include Spillway Bridge (93 S Main St), a new music venue and taproom with 20 beers on rotation, and their first craft brewery, Mica Town Brewing (25 Brown Drive) - just off Main. Watch a movie in the newly restored Mountain Marquee (31 West Court St). Downtown Marion Tailgate Market: Stop by during the growing season every Tuesdays 3-6 PM and Saturdays 9 AM-12 Noon for the freshest produce, meats, cheeses, flowers, baked goods and locally-made crafts. The market is located at the intersection of West Henderson Street and Logan Street, admission and parking are free. 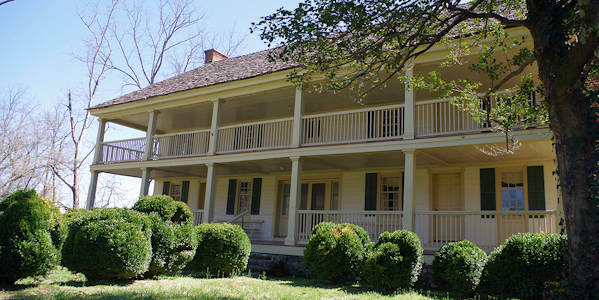 Carson House: Built in 1793, this house museum is one of the oldest standing structures in western North Carolina, having served as a stagecoach inn and stopping point for important historical figures. Read much more. Joseph McDowell Historical Catawba Greenway: Walk or bike this new, one-mile recreational trail, picnic area, fishing pier, wildlife observation deck and access to the historic Round Hill cemetery. The greenway's entrance road (Sam Phillips Drive) is located off of US 70 West, just past Lowe's and next to Table Rock Quarries. Catawba River Outdoors (2334 Hwy 221 Business North) offers tube and kayak trips with shuttles to drop off points up river, ending at their location in town. Mt. Ida Wilderness Area: This 36-acre park features a picnic shelter and one-mile roundtrip hiking trail with views of downtown Marion from the top. The trail is open to the public from sunrise to sunset. Founders' Art Walk: This new public outdoor art exhibition downtown showcases local iconic places. Woods Mountain: One of the most challenging hiking/mountain biking trails in western North Carolina, this 24.9-mile single track loop that crosses the Mountains-to-Sea Trail. Go to the Blue Ridge Travelers Website to learn more about these and other things to do in Marion. Directions to Marion: It's located 36 miles east of Asheville along I-40. 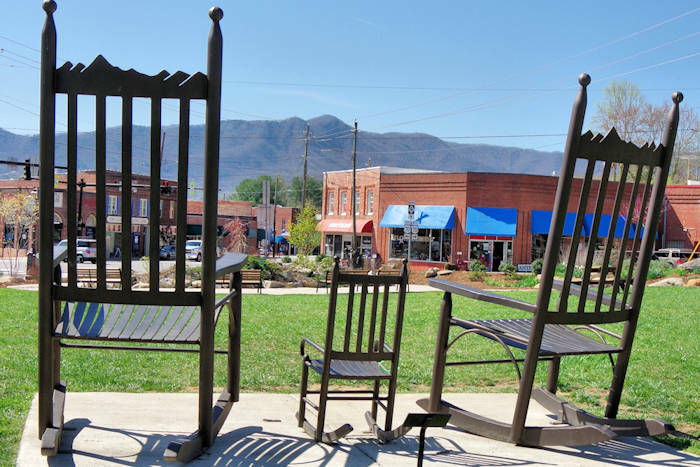 Some of our other favorite small towns nearby include Old Fort (12 miles), Little Switzerland (17 miles), Morganton (22 miles), Black Mountain (20 miles) and Rutherfordton (24 miles). Tour one of the most interesting house museums in the state, dating back to 1793, with a big collection covering 200+ years on three floors. Order this free, print guide for Marion, Little Switzerland, Linville Falls, Old Fort and Lake James areas of McDowell County - east of Asheville. Line up for your free Hunter's livermush sandwich while enjoying live music, hog calling, eating contest and more in downtown Marion, 5-9 PM. Gather on Main Street in downtown Marion on New Year's Eve night to watch the giant golden nugget drop into the 10-foot wide eatable donut that you get to sample after midnight. Many activities.